Address: Austria, esquina Portugal (Urbanización Montaña Roja), Playa Blanca (Lanzarote), Islas Canarias. VIK Club Coral Beach offers all-inclusive accommodation in the Montaña Roja area of Playa Blanca, Lanzarote. Spacious villas offer private terraces with pool, sea or garden views. There is also a chill-out terrace where you can enjoy the sunset. An outdoor swimming pool can be found at the VIK Club Coral Beach, which is heated in winter. The complex offers daytime entertainment and evening shows. During school holidays there is a mini-club for children. The Mediterranean-style villas include 2 bedrooms and a kitchen with fridge and microwave. The spacious living area comes with a TV and sofa bed. Air conditioning is provided in the living room and main bedroom. All-inclusive rates at VIK Club Coral Beach include 3 meals a day at the buffet restaurant. Cocktails, beer and wine are included at the bar. Also available are free snacks and a tea and cake service. 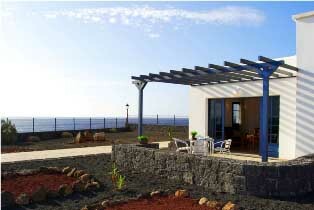 The charming fishing village of Playa Blanca is a 10-minute drive from the VIK Club. The popular resort of Puerto del Carmen is a 30-minute drive away. Free public parking is possible nearby. Guests are required to show a photo identification and credit card upon check-in. Please note that all Special Requests are subject to availability and additional charges may apply. Please note that the reception is open 24 hours. The property offers a free shuttle to Dorada Beach (Playa Blanca) on Wednesdays and Saturdays.